You’ve seen the TV spots. You’ve read the ads. You’ve visited the automaker’s website. That new car you want is very safe, they proclaim. It has received top marks from the Insurance Institute for Highway Safety—the Top Safety Pick+ award. But not every car on the dealer’s lot is necessarily a Top Safety Pick+ recipient, even if it looks just like one that qualified for the award. You’ll have to read the fine print if it’s a Top Safety Pick+ you’re after, especially since the insurance industry-funded IIHS recently revamped its qualification requirements. What is Top Safety Pick+ and why does it matter? There are two groups that crash test cars—the NHTSA, an arm of the federal government, and the IIHS that was set up as a service to insurers. The IIHS’ testing is more comprehensive: cars are evaluated from a barrage of instrumented tests; measurements are taken on the effectiveness of their (often optional) automatic emergency braking systems; and, for 2017, their headlights are measured for effectiveness. By contrast, the NHTSA’s tests haven’t been updated in a while, and they focus solely on how well a car holds up to impacts—not how it can potentially help its driver avoid them. Small overlap frontal: A vehicle drives at 40 mph into a special barrier, with 40 percent of the impact force absorbed by the driver’s side of the vehicle. Moderate overlap frontal: A more rigorous test designed to replicate a vehicle running into a utility pole or a tree. Side impact: Designed to simulate a small SUV running into the test vehicle. Roof strength: Vehicles need to be able to support four times their weight to pass this test. Head restraints/seats: An evaluation of how well a seat holds a passenger in the event of any kind of wreck—including a rear impact, where whiplash is a concern. 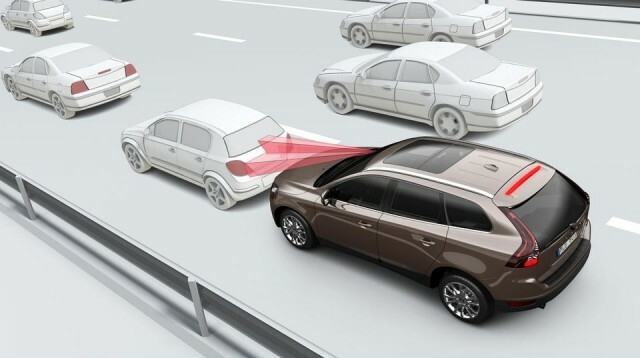 Front crash prevention technology: A test of automatic emergency braking systems, which will be almost universal in new vehicles beginning in 2022. Headlights: Effectiveness of high- and low-beam headlights, including both clarity and range. A car can be a Top Safety Pick—note that there’s no + after Pick—if it passes all but the headlight test. In short, the IIHS’ evaluation is the most comprehensive. It doesn’t mean that we ignore the NHTSA’s testing—but the IIHS goes several steps further. If a car is a Top Safety Pick or a Top Safety Pick+, it’s among the safest new cars you can buy today. Where it gets complicated is in those two last tests—front crash prevention technology and headlight effectiveness. Front crash prevention tech—that’s automatic emergency braking systems that can stop a car if they detect an impending collision—will be nearly standard all new cars by 2022, but most vehicles now at least offer this important feature as an option. Last year, automakers agreed to include the technology in more than 90 percent of cars sold as new in 2022. Increasingly, automakers are making automatic emergency braking standard on their higher-end models. Volvo and Toyota, in particular, make the tech standard equipment on almost everything they sell now. Even then, there are differences. For instance, the 2017 Volvo S60 comes standard with what the automaker calls “City Safety.” This is a low-speed version of automatic emergency braking designed to prevent collisions with pedestrians and cars around town. A more thorough system that works at higher speeds is an additional extra. In the S60’s case, both systems perform well enough that the IIHS gives that Volvo the nod. When we’re talking headlights, it’s far more complicated. 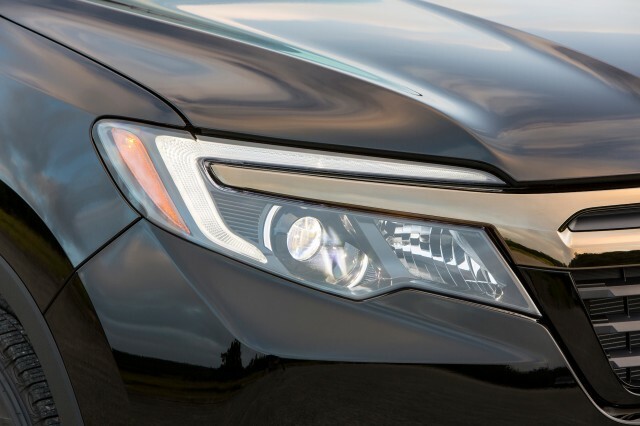 You could be forgiven for assuming that extra-cost headlights like LEDs will perform better than the standard units, but the IIHS found that’s not always the case. New cars may be available with a variety of headlight options. On the 2017 Honda Ridgeline only the top-end RTL-E and Black Edition trim levels include LED headlamps, which the IIHS says are excellent. But all other Ridgeline trim levels—which represent the bulk of Ridgelines sold—rate as “Poor,” which is the lowest score the IIHS assigns. As a result, the only Ridgelines considered Top Safety Pick+ recipients are RTL-E and Black Edition. Instead of around $30,000 for a base Ridgeline, you’re well over $40,000 to get into an RTL-E.
As we said, pricey headlights don’t always work better. On the 2017 Lexus ES 350, the IIHS says that the model’s standard LED low beam/halogen projector high beam combination is superior to the optional LED low/high beam lights included in the $515 bi-LED headlight package. As a result, the ES 350 is a Top Safety Pick+ without the package, but only a Top Safety Pick with it. If automatic emergency braking is optional, make sure the car you’re buying is equipped with it. The best way to determine this is to look at the federally mandated “window sticker” that’s usually tacked onto one of the car’s windows (hence its nickname). This sheet shows every option added to the vehicle plus the manufacturer’s suggested retail price, or MSRP. Closely read the IIHS’ website to make sure the car you’re buying has the most effective lights available on it. Remember that optional headlights don’t necessarily provide a superior view of the road ahead, according to the IIHS.